On this rainy afternoon, I decided to do a DIY project that I had already in my head for a long time. 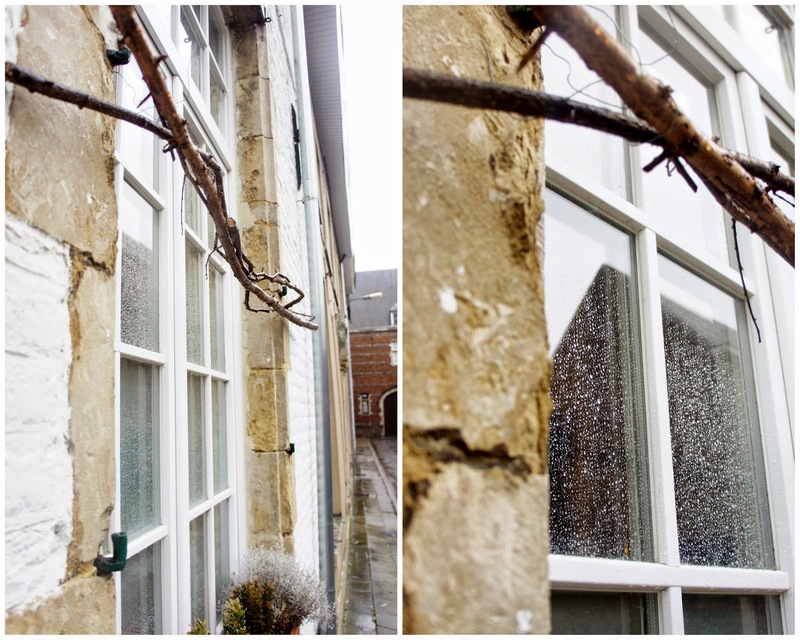 I saw this on a similar house in Durbuy and asked my uncle to cut me some branches to try and make a wooden structure to decorate the windows on the front of the house. It was fun to do, just wood and iron wire and together with the wreath my uncle made me, it turned out very nice I think. And in winter I can decorate if further with some christmas ornaments or in summer with some flowers. I always feel good when I get a little creative!